So what happens when you think that you’ll never get more of your writing published and then all of a sudden you get invited in the same week to publish a Christmas short story in two different anthologies? What should I do? Which invitation should I accept? Then I thought, Turn down any offer to publish a short story? – NEVER! The answer seemed simple to me—accept both offers and get busy writing two totally unique Christmas-themed short stories: one a joyous, sweet Christmas story; the other a twisted, messed up Christmas tale. This happened in mid-October and I got busy developing two very diverse story themes: one a miraculous story of a young boy, a deathly ill mom and a magical plant; the other a twisted tale of a Santa Claus with an unusual cocaine habit. The first step was to write two very diverse stories with differing moods of Christmas within a week of each other. The next step was to confidently secure a spot in both anthologies. Then the process of refining began. I set aside time to self-edit both stories and then presented each to my writing critique class. Their suggestions were very helpful and gave me the insight needed to then rewrite each, edit them again, get them edited by third parties, more rewrites and a final edit before the actual submissions. The outcome? I have short stories in differing styles publishing in two VERY unique anthologies. One is still a couple of weeks from publication, but the second published last weekend and I invite you to take advantage of the free download of Tommy’s Gift in the Christmas anthology called A World of Joy. A global offering of hope for the human condition in the spirit of the holidays! 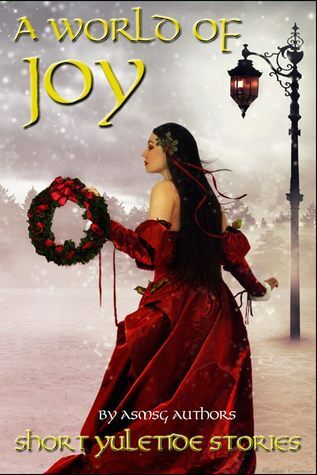 This entry was posted in "Tommy's Gift" by James J. Murray, A Christmas Short Story Collection, A World of Joy, Christmas Anthology, Christmas Short Stories, Holiday Anthology, Holiday Fiction, Holiday Short Stories, Tommy's Gift, Yuletide Anthology, Yuletide Short Stories and tagged A World of Joy, A World of Joy Anthology Collection, A World of Joy by Christopher Shields, A World of Joy Short Story Collection, Christmas Anthology, Christmas Fiction Stories, Christmas Short Stories, fiction writer, fiction writing, Holiday Anthology, Holiday Short Stories, James J. Murray, Murder Mayhem and Medicine, Yuletide Anthology, Yuletide Fiction, Yuletide Short Stories. Bookmark the permalink. 9 Responses to Two Invites To The Party! Great way of getting yourself out there! Congratulations. Hi James. Tommy’s story is masterfully conceived and beautifully written. Thanks for sharing. Like the Ford commercials say, “and” is better than “or.” Way to go! Read the book — some good stories, some, in my opinion, not that good. But yours is a gem. Thank you. As they say, some stories “shine” better than others. Thanks for the kind words. Glad you liked “Tommy’s Gift” – it was fun to write! Thanks for the kind words, Guys. They say all it takes for a writer to succeed is writing one word after another — 100,000+ times. Now if all those words make sense and entertain, then that’s even better! World of joy looks like a really good book. I have to say the cover design is amazing. Thanks, Lady Lilith and Mary. All the best to both of you.